Etikoppaka toys:- A thick decoction of color is mixed with hot lac and sticks are made similar to those with synthetic dyes They have become very popular in India and abroad. As the toys are exported also, vegetable dyes are used in coloring instead of lead based dyes. Vegetable dyes are brought from Madhya Pradesh in powdered form. 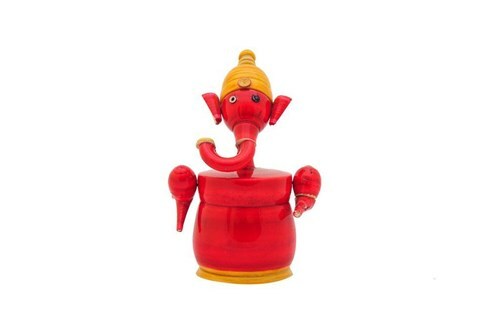 Highlights:- Made by rural artisans Perfectly safe for kids Eco friendly colours used Very light to handle Easy to maintain Made out of wood only Utility:- Can gift to some one Use as a good showcase piece or table top. Enhance the ambience of your sit out area.